This spice rib is delicious on ribs but also works great on any cut of chicken or pork. For best results marinate for at least 2-3 hours or overnight if possible. This recipe makes 1 cup of spice rub. Whatever you don't use keep in an air tight container to use again! Mix well and slather onto meat making sure to cover completely. 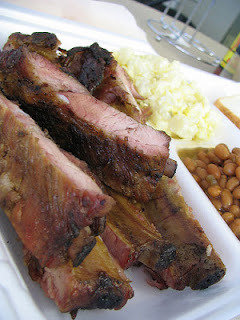 Allow meat to marinate covered in fridge or slow cook ribs at 200 degrees for at least 4 hours. Finish on the grill just to get a sear on the meat. Brush with your favorite BBQ sauce if desired!